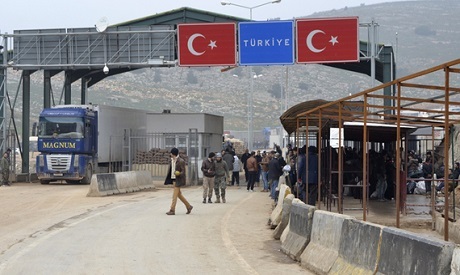 Turkey will limit the movement of non-humanitarian goods at the Bab al-Hawa border crossing with Syria because the Syrian side is controlled by a "terrorist organisation", Customs and Trade Minister Bulent Tufenkci said on Thursday. Last month, Hayat Tahrir al Sham, a rebel alliance spearheaded by the former al Qaeda offshoot Nusra Front, took control of the border area and most of Idlib province in several days of heavy fighting with its main rival, Ahrar al-Sham. "Until that group's control ends, or at least weakens, there will be tight control and slowing down of the passage of all products other than humanitarian aid and food," Tufenkci told Turkey's NTV channel. "We have no imports from Syria, we only export. Therefore, we don't have any issues in that sense," he said, adding that the issue could be resolved in the next two weeks.